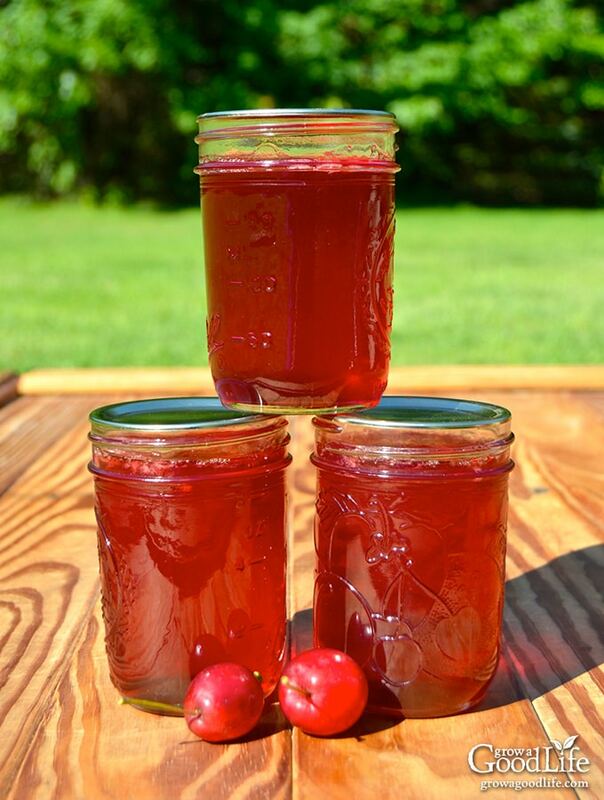 Transform the tart flavor of crabapples into a delicious homemade crabapple jelly. Crabapples have enough natural pectin so no additional pectin is needed for this crabapple jelly recipe. 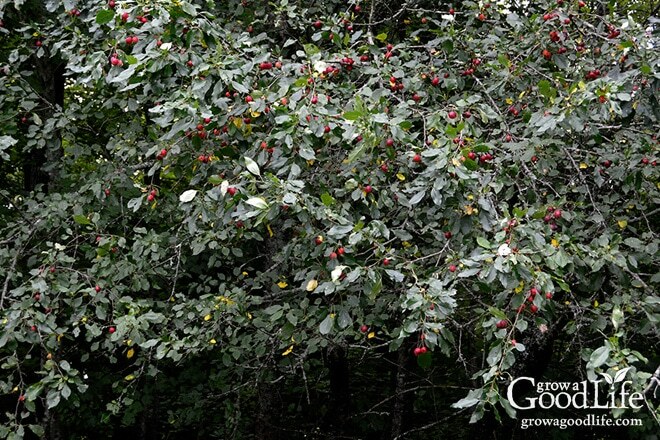 One of the fruit trees on the edge of our property is a crabapple tree. These are often planted along with traditional apple trees to help with pollination. They are hearty trees that don’t require much care. Both crabapples and apples are in the Rosaceae family, and members of the Malus genus. Crabapples are small trees often reaching about 15-to 25-feet at maturity. The fruit is under two-inches in diameter and the flavor is very tart. My crabapples ripen before the rest of the apple trees, so I like to take advantage of their ruby goodness. With a little sweetening, crabapples can be transformed into a delicious crabapple jelly that can be enjoyed on homemade bread, swirled into yogurt or paired with roast pork. Crabapples have enough natural pectin so no additional pectin is needed for this crabapple jelly recipe. Pectin is a naturally occurring complex carbohydrate in fruit that is concentrated in the fruit’s skin and the core. When pectin is cooked, it thickens to a gel. 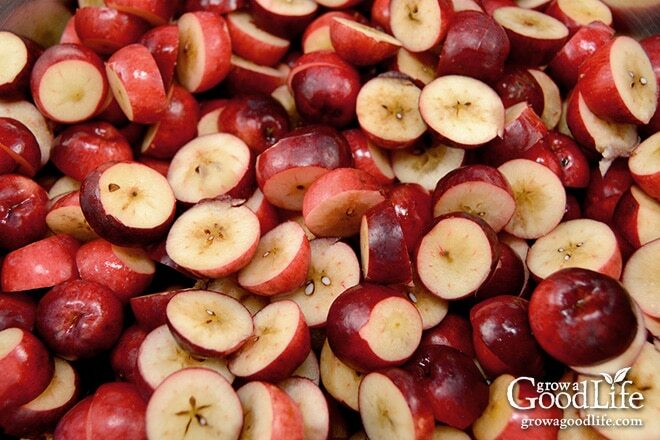 Select firm crabapples with no signs of insect or worm damage. Unripe fruit has more pectin than ripe fruit, but ripe fruit has more developed flavor. So try to mix about 75% ripe fruit with 25% under ripe fruit. You can tell if an apple is ripe by cutting it open and looking at the seeds. 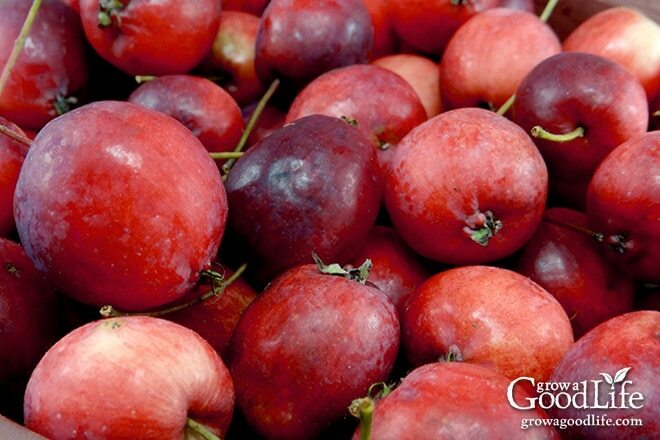 A ripe crabapple will have brown seeds and an under ripe apple will have light colored seeds. When making juice or jelly, I typically split the process over a few days to allow extra time for the juice to strain completely. This is even more important with crabapple jelly because you want to get as much of the natural pectin from the juice as you can so your jelly thickens up properly. If you are new to making jelly, the NCHFP website has a nice description of how to tell when the jelly point has been reached: Testing Jelly without Added Pectin. Temperature Test: Use a candy thermometer to monitor the temperature of the jelly. 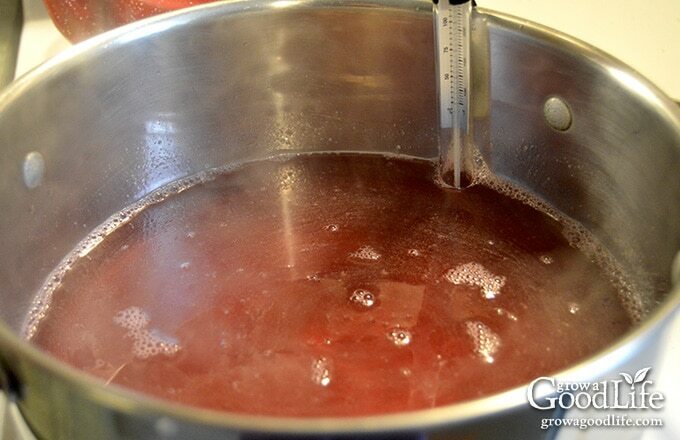 Jelly stage is when the temperature of the boiled juice is 220˚F. Spoon or Sheet Test: Plunge a cool metal spoon into the boiling jelly mixture and lift the spoon out sideways so the liquid drips out. The jelly stage had been reached when the liquid forms two drops that flow together into a sheet that hangs off the edge of the spoon. Refrigerator/Freezer Test: Place several plates in the freezer before you begin making your jelly. To check for jelly stage, place a spoonful of hot jelly onto the cold plate and let it rest for 30 seconds. Tip the plate to one side. Jelly stage is reached when the mixture gels on the cool plate and doesn’t run down the plate when tipped. Cooking time will vary with each batch because the natural pectin level is different in each individual apples. I use all three testing methods but rely on the freezer plate method for the final check. Wash the crabapples plain water, remove stems, cut out any bad spots, and trim the blossom ends. Cut the crabapples in half. Use a kitchen scale to weigh out 3 pounds for this recipe. Extract the crabapple juice by combining the prepared crabapples in a large saucepan with enough water so that the fruit is barely covered, about 3 cups. Bring to a boil over medium-high heat, then reduce to a simmer, and cook the crabapples. Strain the juice from the cooked fruit, add sugar, and boil until jelly stage. Then follow the remaining steps outlined in the recipe below to can your crabapple jelly. Wash the crabapples plain water, remove stems, cut out any bad spots, and trim the blossom ends. Cut the crabapples in half. Use a kitchen scale to weigh out 3 pounds. Extract the crabapple juice by combining the prepared crabapples in a large saucepan with enough water so that the fruit is barely covered, about 3 cups. Bring to a boil over medium-high heat, then reduce to a simmer, and cook the crabapples. Heat and simmer slowly until skins are soft, and the juices are released. Gently mash the crabapples with a potato masher and simmer over low heat for 15 minutes, stirring occasionally until the fruit is soft. Do not overcook crabapples because excess heat will destroy the pectin and change the flavor and color. Strain the cooked fruit through a damp jelly bag or double layers of cheesecloth. Allow the crabapples to strain for several hours, or overnight. If you want clear jelly, do not squeeze the bag. I care more for flavor rather than appearance, so I often give the bag a squeeze to press out all the flavorful juice. Discard solids. Measure out about 4 cups of crabapple juice and pour into a saucepan, add sugar and stir to dissolve. Bring to a boil over medium-high heat, stirring constantly, until jelly stage (220°F at sea level, or until the jelly mixture sheets from a metal spoon.). Remove from heat and skim off foam. Spread kitchen towel on the counter. Use your jar lifter to remove warm jars from canner, drain, and line up on the towel. Use your canning ladle and funnel and add the crabapple jelly to warm jars leaving 1/4-inch headspace. Wipe the rims. Use your magnetic lid lifter to lift lids out of the warm water, center lid on the jar, and screw on band until it is fingertip tight. Cover the canner and bring to boil over high heat. Once water boils vigorously, continue boiling for 5 minutes at altitudes of less than 1,000 ft. (adjust processing time for your altitude if necessary). Remove the screw on bands and wash the jars. Label and date the jars. Store your jars in a cool, dark place and use within 12 months. Yields about 4-6 half-pint jars depending on the natural pectin level in your crabapples. What kind of crabapple tree are your crabapples from? I grew up eating crabapple jelly and it was my favorite. I have a Whitney crabapple, but it doesn’t taste the same at all. Kathy, There are so many crabapple varieties. I think ours is Dolgo, but it was planted long before we owned the property, so I am not sure. One thing I have found when making crab apple jelly, is to let the apple go through a good frost, down to about 25° F. This really sweetens them. I have 6.5 cups of juice. 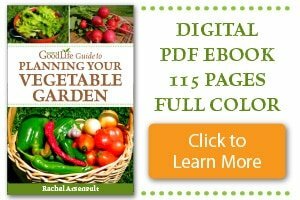 Do I need to make two batches, or can I do it in one batch? Charlotte, Yes, I would split it into two batches. Smaller batches are easier to keep the temperature even to get the jelly to gel. I have been making crabapple jelly for several years now for ok M the Dolgo apple tree in my front yard. I am frequently adjustingtheprocedure of making jelly and sometime refrigerate the juice until I have time to boil it into jelly. I don’t measure the crabapples ahead of time because I know that every four cups of juice will have four cups of white sugar added. I have two questions. How long do you think the juice couple be stored in the fridge before boiling. The last of my juice has been in there for two weeks now. Secondly, do you think one year maximum storage. I still have a few jars from 2015. The jelly has darkened but otherwise looks ok. I wouldn’t keep apple juice in the refrigerator for longer than 24-hours. You can freeze it if you need more time. I do suggest using up your home canned jars within a year. My first attempt was a complete fail. I simmered for about 45 minutes prior to mashing in about 4 1/2 cups of water. Perhaps a suggested amount of time added to the instructions might help one to know if they are in the ball park. At the draining stage, the mash came out like refried beans after simmering for only 12 minutes compared to the recommended 15. I let it drain overnight which produced about a half a cup of juice and the mash was like a rock. Chris, I am sorry the recipe didn’t work out for you. The amount of time for simmering is stated in the recipe in step 2. Simmer over low heat for only 15 minutes just until the fruit is soft. I am not sure from your comment if you simmered for 45 minutes or 12 minutes. 45 minutes is way too long. If it was 12-minutes, you should have had more than a half-cup of juice. Did you add the 3 cups of water as instructed? It would have been 3 cups of water plus the apple juice. I used your recipe for crab apple jelly but it doesn’t seem to have jelled. Does it take a few days or weeks for it to jell? Shirley, Did you test for jelly stage before removing it from the heat? Sometimes it takes a while before the juice begins to gel when boiling. Once it reaches jelly stage, it should firm up right away as it cools. Unfortunately, it is difficult to know what went wrong. If your crabapple jelly fails, it will still taste good. You can enjoy runny jelly on pancakes, in yogurt, or on ice cream. Fabulous recipe. I was visiting family and walking around their neighbourhood and saw this splendid crabapple tree laden with fresh fruit. Turns out they were a family friend who offered up as many apples I wanted to pick. I Was a bit worried at first when it seemed to be taking a long time for the liquid juice to turn into a jelly. I think I ended up stirring the fruit for a good 30 minutes. Once it started to gel it was a really quick process. It is a wonderful, tart and flavoursome jelly. I’ll be going back this week to collect more fruit. Love this ! Easy to follow,make and deliscious to eat ! Making the jelly this moment. I have extracts the juice the way you described, Now I have to add the sugar- butI have tasted the juice and like the flavour now! Do I have to add sugar or will it jell without it? Could I substitute honey for the sugar? I have not tested using honey with this recipe. Let me know if you decide to try it. Can you tell me why while straining the apples, the juice is already “thick” like jelly? I don’t think I’m going to get much juice! I am not sure. That has never happened to me. How long did you heat the apples to extract the juice? I cooked up about 6lbs of crab apples and I have plenty of juice. Can I use equal amounts of sugar for the jelly? Elaine, I would extract the juice all at once, but do two batches of jelly. I find smaller batches are easier to work with especially when dealing with no pectin jellies. It is easier to control the boil and the time it takes to gel stage with a smaller batch. Today, I was finally able to can the jelly from the most beautiful crabapples picked from my Mother’s laden, yellow with a kiss of blush crabapple tree. Yeah, it’s a run-on sentence but that is the only way to describe it. Walking up Momma’s drive, I saw the tiniest June apples or so I thought. Mom said,”Honey, I pick me a bowl full and fry them for breakfast hull on…they are too small to peel but I cut the flesh from the core and pop them in the skillet. they are the best tasting with a bit of sugar, butter and a hot biscuit. Needless to say, I was impressed by the tart flavor as well and dared make a batch of jelly using this recipe. I had already purchased Jell-ease to aid my adventure but with this recipe followed closely, it wasn’t needed. Instead of using the core, I was crazy enough to cut the fruit from around the core with the peel on of course. I was ready to pour the jelly in the hot jars as soon as it began sheeting off my spoon. I have one more batch to go but it can wait until tomorrow as my stirring arm needs a rest. Now, to wait until morning to make a batch of my homemade biscuits……Thanks for this perfect recipe! Juanita, At this point, you can enjoy it as crabapple syrup. It is delicious swirled into yogurt, drizzled on roasted or grilled pork, or added to tea. It happens sometimes, since you are relying on the natural pectin in the fruit. We’ve got a LaLaine Juicer and want to use the raw juice, not water bath–not for long storage. Do we have to add water to make good jelly? We’ve tried this before and I don’t think we added water and the jelly was pink and wonderful. Katie, Yes, it sounds like you probably boiled a bit too long. The time it takes to get to jelly stage is dependent on the level of pectin in your fruit. This can vary from batch to batch. Check out the Testing Jelly without Added Pectin article for tips on how to tell when the mixture is a jelly stage. I hope you will give it another try. You can still use the stiff jelly. Try melting it down and spooning on pork. 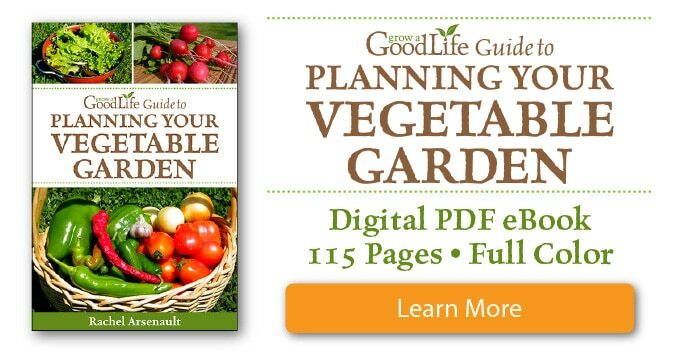 Great recipe – thanks! I just discovered an old abandoned crab apple tree and I think they are ripening soon, so I can try out this recipe. I just love slathering a good apple jelly on pastry! Currently juicing my crab apples. I used my electric pressure cooker! 3 lbs of apples and 3 cups of water per batch for 15 minutes. Worked like a charm! Cant wait to make the jelly tomorrow. So how does it work with the pressure cooker? I made a double batch using this recipe yesterday and am making another double batch today- thank you for clear instructions for this pectin-free jelly! A great way to use our abundance of crab apples. Rachel, I am so glad you like it. 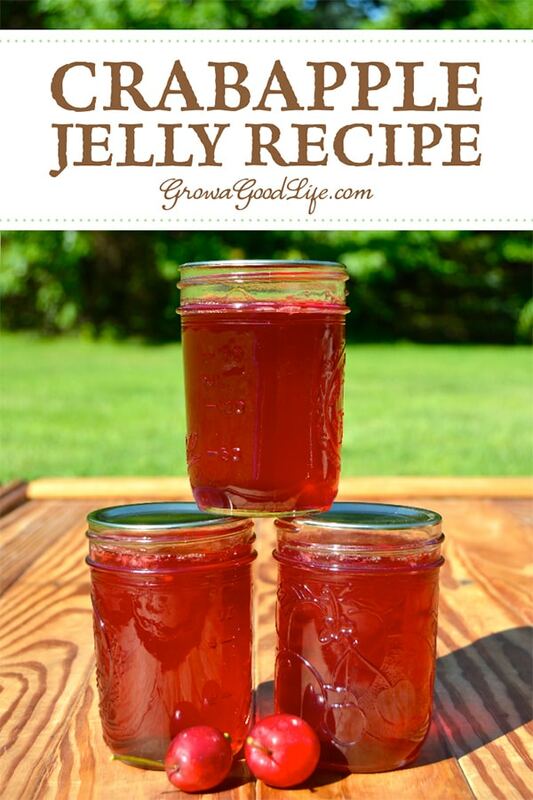 It is so nice to make a batch of jelly without worrying if you have pectin on hand. Hello! 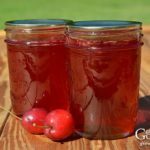 I’ve tried making your crab apple jelly recipe and every time I put the fruit in the jelly bag I only get just over a cup of juice… Do you gave any advice? Can I add three cups of water to get the four cups of juice needed to make the jelly? Thank you! Lee, Are you adding water to the apples in the beginning? You should add about 3 cups per the recipe.”Extract the crabapple juice by combining the prepared crabapples in a large saucepan with enough water so that the fruit is barely covered, about 3 cups.” The apple juice plus the 3 cups of water should amount to more than a cup of juice.